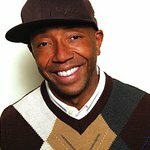 The Eagle Academy Foundation, which runs all-boys public schools in the Bronx, Brooklyn and Queens, will hold its “Soaring Eagles” reception on Wednesday, June 9th at the home of hip-hop mogul Russell Simmons. Some of the NYC’s most influential business and political leaders will attend the event to support the work and success of the all boys public schools funded by the Foundation. The Eagle Academy schools educate and mentor young men of color, assisting them in becoming future leaders committed to excellence in character, scholastic achievement and community service. The Eagle Academy Foundation is committed to making the Eagle Academy a national model for other initiatives that promote educational excellence. Max Siegel, the president of Max Siegel Inc. and former president of Global Operations at Dale Earnhardt Inc. will receive the “Soaring Eagles” Award for his commitment to help young men of color reach their potential. Anheuser-Busch will also be honored with the “Soaring Eagles” Award. The reception will be held at the home of Russell Simmons in New York on Wednesday, June 9th at 7:00 p.m.